Read our exclusive interview with 5 fitness and nutrition experts on their views and opinions on fat loss. 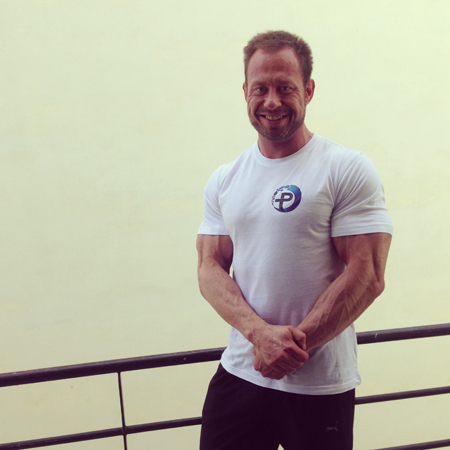 Layne Norton - a renowned prep/physique coach and pro natural bodybuilder/powerlifter with a PhD in Nutritional Sciences. 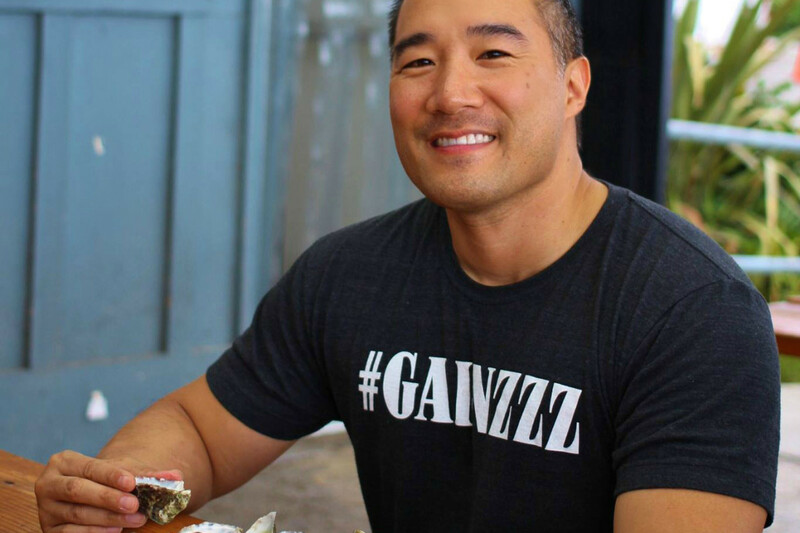 Alan Aragon - over 20 years of success in the fitness field, and is one of the most influential figures in the modern movement towards evidence-based information. Gavin Allinson - also known as the 'fat loss chef', helping people cook delicious food that will help them lose or maintain their weight. Matt Lovell - Sports nutritionalist based in London, who has worked with the England Rugby team and Premiership football clubs. Question 1 - What is the most important determinant of fat loss? Layne Norton - Well there are a lot of things but the biggest thing is to make sure that you are in a caloric deficit. Obviously protein/carb/fat breakdown is going to heavily influence substrate utilization and exercise is important to maintain muscle mass but at the end of the day if you aren't oxidizing more than you take in you won't be seeing significantly fat loss in most cases. Alan Aragon - The most important thing is to sustain a caloric deficit over a prolonged period. The deficit will periodically close up, and plateaus in fat loss will occur, and getting past those plateaus is a matter of re-opening the deficit with either a further decrease in intake, increase in training output, or both. Gavin Allinson - Your diet. You can't out train a poor diet. With diet My starting points are 4 meals a day, high protein, healthy fats and no starchy carbs. Matt Lovell - Finding a balance which you can stick to which contains the right mix of deficit, muscle protection, nutrient delivery and sustainable longer term adherence. Layne Norton - I'd like to respond to the no starchy carbs comment by Gavin: While I agree some people are extremely carb intolerant and need to limit their intake of starchy carbs, this is still a minority of people. Most can have a modest amount of starchy carbs in balance with a healthy, high protein/fiber diet. I think that completely eliminating food groups is a big mistake as classifying foods as 'good' or 'bad' is over simplistic and can lead to people developing disordered eating habits and awkward/unhealthy relationships with food. Besides, if you are someone who can get lean eating starches why wouldn't you include them in moderation? Question 2 - How has your approach to fat loss changed in the past few years? Layne Norton - I think the biggest thing is I space my meals much further apart. When I was younger I bought into the dogma that more frequent meals 'stimulate' metabolism and improve muscle retention. This is simply not true and eating too frequently may actually impede fat loss. When I switched to 4-5 meals per day compared to 7-8 I actually maintained more lean body mass and lost more bodyfat and felt more satisfied after meals. This is also in line with recent data showing that large boluses of protein are better than smaller doses that are spread out. Alan Aragon - It's been the same for quite some time now (I've been at this since the early 90's). However, I'd say that within the past decade or so, I've been more conscious of having people take maintenance breaks from their dieting. Roughly every 4-8 weeks depending on the individual circumstances, I'll have clients take a full week off of the diet. Borge Fagerli - Well, no major changes, but I would say the most significant has been less cardio and more carb-based approaches. I can start someone out with low carbs/high fat approaches depending on starting point and training volume/activity levels, but as someone gets very lean and their insulin sensitivity improves - I find it more productive to add in carbs and go easy on the cardio vs. the opposite strategy. How many of you haven´t noticed that 1-2 weeks after your diet (as long as you avoid the massive overfeeding binges some partake in) you actually look a lot better? Not only did your muscles fill out, but a lot of times bodyfat actually dropped as well... Timing this gradual increase in carbs and reduction in cardio to a couple of weeks before the end date (competition, photoshoot or vacation) instead of after will give you a pleasant surprise - even if it seems counter-intuitive. Oh, and I also rely less on stimulants/fat-burners, and high-rep depletion work these days. Gavin Allinson - It hasn't really changed I've stuck to the core fundamental principles, marketers are always coming up with new ways of presenting the principles. they may talk about different hormones and training methods. I don treacly buy into the 'cheat meal' idea as just using that term sets your doorman diet up to be a negative and you are somehow depriving yourself for 6 days a week. 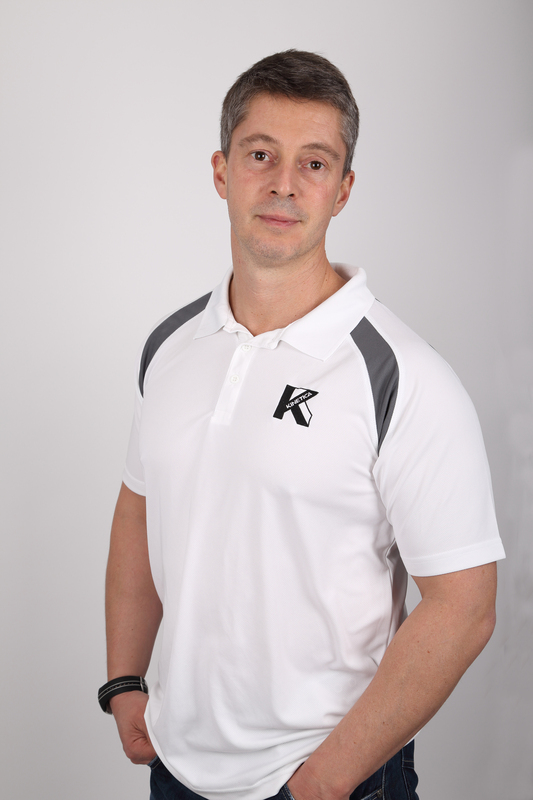 Matt Lovell - It’s not really changed – same approach insulin sensitization, carbohydrate cycling, high intensity interval training – let the diet do a lot of the work for you rather than over training….i did the foundations of the 4 week fat loss system about 25 years ago! It worked then it works now. Question 3 - What's the biggest misconception most athletes have about getting in shape? Layne Norton -That you can do it quick. I see guys who have 40 lbs of fat to lose and think they can just drop it in 12 weeks. Yea you might be able to drop 40 lbs but you are going to lose muscle and you are going to put it back on really fast when you go back to normal eating. Alan Aragon - The most common misconception is that it can be done quickly and easily as long as the right "secret tactics" or "special foods" are used. The reality is that, for the most part, getting in shape is an epic test of consistency, will, discipline, and diligence. There are no short-cuts. If someone lacks the incredibly high degree of motivation and resolve to succeed, it's not gonna happen. Borge Fagerli -Well, some seem to think that you either have to be genetically blessed, or to be the hardest working athlete. I´d say that regardless of genetics, you should be the SMARTEST working athlete. I think people have a tendency to blame genetics for their diet failures, when it more often than not comes down to picking a sensible strategy instead of going to extremes, and you can not only enjoy the process but also find a balanced approach you are able to stick to long enough for it to matter. Sure, a select few can get away with half-assed workouts and eating junk on a daily basis, that doesn´t mean they wouldn´t have gotten better results if they put some more effort into it. Accept your genetics because you can´t change them anyway. Gavin Allinson - What I see is that they eat too many starchy carbs like pasta rice and potatoes even when they are training hard. I prefer them to get their carbohydrates from veggies like butternut squash, pumpkin, root vegetables and then beans and pulses. Matt Lovell - It’s following old protocols of slow to fast or volume to specificity. These are way outdated now. By that I mean getting in an endurance base and then gradually getting quicker – nowadays the way forwards is to train all systems concurrently. Question 4 - How much protein do you recommend when dieting? Can essential amino acids be superior for protein synthesis compared to whole proteins? Layne Norton - Well EAAs in particular leucine have a bigger impact on a per gram dose basis on muscle protein synthesis than whole protein but I don't know anyone who wants to just take all free form aminos for their protein and I don't recommend it. I think some supplemental leucine/BCAA can have it's place for optimizing meal responses when properly implemented but I think that while you COULD get all your protein from EAAs and be fine, I think most would prefer to actually eat food. Now one population that may benefit from this are people who have GI disorders or diseases where protein has to be restricted, in those cases supplemental EAAs/BCAAs/Leucine may be critical for maintianing lean body mass. As for protein intake, almost all the data we have seems to suggest right around 2g/kg per day is plenty. Going as high as 3 g/kg has been shown to have no determental effects but also really no additional benefits either. Alan Aragon - When dieting, I recommend roughly 1-1.36 g/lb (or about 2-3 g/kg). Supplementing the diet with essential amino acids is pretty useless when the intake of high-quality proteins is at this ample range, since plenty of EAA content is already present. Borge Fagerli - 2-2.5g per kg of bodyweight, up to 3g when running more extreme deficits. That translates into about 1-1.5g/lbs bodyweight for the metrically impaired. For maximum efficiency in terms of utilization and protein synthesis, I find 3-5 meals per day to be best, the sweet spot at 4 meals. Any more or less, and you tend to run into problems. I know you didn´t ask about that, but I think you have to ensure your body makes the most use out of the ingested protein, if you eat 6-9 meals per day as is popular in the fitness and bodybuilding community, you will run into a phenomenon termed ´refractory response´ where the protein machinery gets overloaded and stops responding. You need discreet peaks and valleys in plasma amino acid levels. Gavin Allinson - I like to keep it simple and say a palm sized portion should be enough and you can fill your self up on high fibre carbs like broccoli, cauliflower and cabbage (cooked well with spices so it tastes good) and some healthy fats like coconut oil. Eat like this and you won't feel hungry. I do recommend branch chain amino acids if an athlete is training hard and trying to lose weight at the same time, most general members of the public probably don't train this hard and could get by without them. Matt Lovell - Protein wise I’d go for 2.2-3.5g/kg depending on level of weight training. I use aminos regularly along with normal proteins – I think they give an edge – but not at the expense of normal proteins. Question 5 - Do you use any nutritional supplements with your athletes? 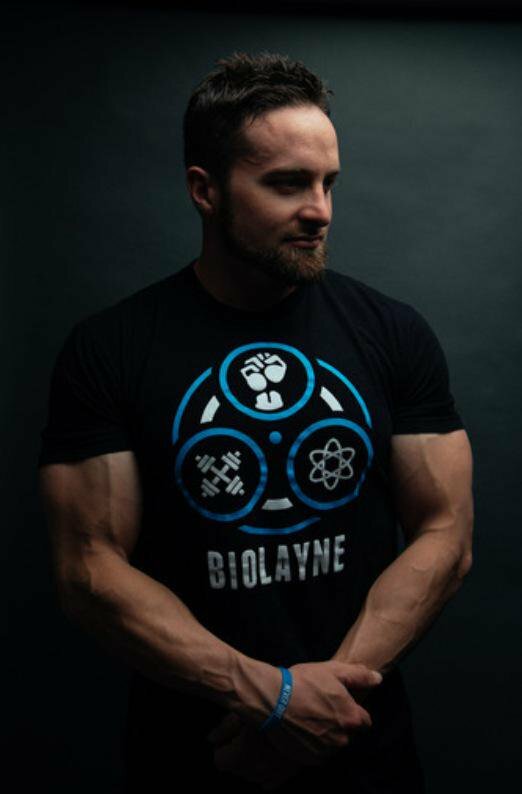 Layne Norton - Yes I supplement most with BCAAs (from Xtend), Creatine Monohydrate, Beta-Alanine, Citrulline Malate (from Xtend as well), HMB while in a caloric deficit or overreaching cycle of training, fish oil, multivitamin, and some anti-oxidants as well. Alan Aragon - Yes, but not all. The most common ones are a multi, fish oil, vitamin D, creatine, magnesium, and in some cases beta-alanine, caffeine, & calcium (in those who lack sufficient dietary intake). Borge Fagerli - Just the basics: a whey/casein supplement (the combination is better than whey alone IMO), creatine and omega-3 oil (unless there´s a lot of fatty fish in the diet, obviously). Vitamin D - 2000-5000IU/day depending on the season (less, or nothing in the summer). I might add some ALCAR for mental energy, and tyrosine with caffeine as a pre-workout booster once in a while. BCAAs are quite popular nowadays, and I do use them - but only as a pre-workout "pulse" to spike amino acid levels going into the workout. Research has shown it to be beneficial and even more effective than the post-workout nutrition, and even though you can argue if it really matters when you already have one or two protein meals in you I tend to "err" on the safe side with this one. Anecdotally, people report less soreness and more energy with some BCAAs pre-workout, probably because these amino acids compete with tryptophan in the brain and can potentially inhibit serotonin and boost dopamine in the brain. Other than that, it depends on the needs of the client. I donÂ´t like to write a bread-and-butter list that applies to everyone. Get the diet, training and overall lifestyle (stress, sleep etc) in order and most deficits go away by themselves. Then depending on the sport power based athletes will usually have creatine and beta alanine as standard. Once an athlete is eating clean and is taking these supplements we then move to the next level and get a bit more advanced. Matt Lovell - Yes – I cover basic needs and address deficiencies 1st, then look to build on this with more performance based supplementation. All of this is done after the diet’s been fixed. Question 6 - Do you change resistance training prescriptions when dieting or is it a case of performing the same routine regardless of goal? Layne Norton - I may reduce volume slightly, but for the most part, what will build muscle best will also maintain it best. Alan Aragon - The structure of resistance training programs does not change much when dieting except for cases when cardio (or training volume) needs to be incrementally increased in order to push through plateaus if intake reduction is no longer a viable option. Borge Fagerli - The basic template stays the same, but by using auto-regulation methods such as Myo-reps and the RPE method (see my earlier interview with Predator Nutrition), volume will automatically drop if/when the deficit requires it. If I see a client overdoing things anyway, I will simplify it down to just a few basic exercises with no drop sets, and limit the big lifts to RPE 8-9s. Gavin Allinson - Yes for resistance training when dieting I like to use barbell, dumbbell and kettle bell complexes to cause as much metabolic disruption as possible and to also include fast paced intervals as well to help elevate levels of growth hormone that can help with fat loss. I also include some strength based sets at the start of each session. Matt Lovell - These change a lot depending on body composition requirements, but I’d normally be doing a decent mix of maximal strength, circuit metabolic weights, body weight circuits and the odd longer session. Question 7 - Is cardio a necessary evil for bodybuilders to get in shape or is it best to focus on weight training and diet alone? Layne Norton - Well I think that most people should do some cardio so they don't have to be super restrictive on food intake. Also high intensity interval cardio improves overall fat loss capacity by increasing mitochondrial biogenesis. So I think it's almost always good to include some form of high intensity intervals. However, I think doing 2 hours of low intensity cardio per day or those kind of recommendations are completely asinine and counter productive. In fact, too much low intensity cardio can actually REDUCE metabolic rate over time. Alan Aragon - Cardio is a good tool, and it necessity or benefit depends on the person's goal. Fundamentally speaking, the least amount of cardio should be done to make fat loss progress, since it can always be incrementally increased in order to get the job done. With that said, some people have specific endurance-oriented or athletic goals that are not accomplished through the weight training program itself, so in that case, cardio should be done to the full extent necessary to fulfill those goals. And on the other hand, there are weight training programs that have short rest periods and plenty of supersets, dropsets, or circuits, thus having a significant cardio-respiratory effect on their own. The latter decreases the need for formal cardio on top of that, unless muscular endurance is the top priority. For bodybuilding specifically, I'd have to reiterate that the best approach is to begin with the least amont of cardio to get the results you're looking for, in order to minimize interference with the goal of building muscle. Borge Fagerli - Depends. Some people actually do better with 5-6 days of lifting weights with just some easy walking or none at all if they have a physically active day job. Some do just 3 weight workouts and 2-3 sessions of intervals or circuit/complexes per week - not just with weights but various implements such as kettlebells, elastic bands, sandbags, prostitutes and so on. The latter being optional as they usually cost more money, and may induce a burning sensation when you urinate. But I digress. Gavin Allinson - No I don't think body builders need to spend 30 minutes on the treadmill in order to help burn fat. I think it is good to do some type of cardio training for overall fitness, theres not much point being stacked and looking the business if you have to run for a bus and end up needing an oxygen cylinder to recover. Similar cardio improvements can be seen by doing intervals. Coming from a rowing background I like to use the rowing machine for this as it lessens the impact on the joints that may be an issue for heavier guys and it is an all over workout as well. Matt Lovell - I think it’s better to do weights and diet – I think a lot of body builders do too much cardio and tire themselves out lose muscle mass and probably change muscle fibre type. Question 8 - Should people cut out particular foods when dieting? Lately there has been a trend to eliminate foods containing gluten, or dairy for instance. Layne Norton - If they don't have allergies or GI sensitivities to them, then that is also asinine. Alan Aragon - Those foods should only be cut out or minimized if the person cannot tolerate them. There is nothing inherently lipogenic about dairy; it fact, some research shows that it preferentially helps reduce abdominal fat. As far as gluten goes, again, keep it in the diet if you don't experience any adverse gastrointestinal events from it. If you're worried about it, or suspect some sort of intolerance, then you can kick it out since it won't make or break your results either way. But if you have a preference for those foods and can tolerate them well, there's no good reason to avoid them ever. Borge Fagerli - YES! Ok, I understand the arguments by some fitness writers saying that it all comes down to calories as long as you cover the basics (proteins, EFAs), but in my experience you sabotage adherence and compliance by letting sugary and fatty foods with a high nutrient density be part of the daily diet. I´m also not a fan of gluten or whole grains in the diet. Without going into some paranoid debate on lectins, phytates and all that stuff - I just think you get plenty of fiber from fruits and vegetables and then you can cover the carb needs for fueling workouts with simpler starches such as rice (white), potatoes and sweet potatoes. Even the staple food oatmeal is something I find to make a lot of people sleepy and bloated. I´m also not a fan of oils, and prefer to use e.g. olives over olive oil, coconut milk over coconut oil, and I never use vegetable oils such as rapeseed/canola, flax or Udo´s. The remainder of fats coming from those incidental to lean meats (I prefer wild game), eggs (never throw out an egg yolk), fish (wild-caught and not farmed), avocados, almonds and some nuts/seeds. Other than that, if someone has any cravings - I will first of all ensure that the base diet is covering all needs as any deficit usually shows up as sweet/salt/fat-cravings - second I have a weekly "free meal" where basically anything goes...and if that doesn´t help either I tell people to just have that damn piece of chocolate/ice cream/pizza or whatever. After a couple of weeks of a balanced diet they find that what their old cravings are just artefacts from their primitive brain misrepresenting a lack of carbs, fats or even electrolytes and fluids, and they just feel nauseous and bloated after indulging. I have people running diets for weeks on end where they would rather go for a piece of fruit or some nuts instead of sugars and junkfood whenever they crave something. 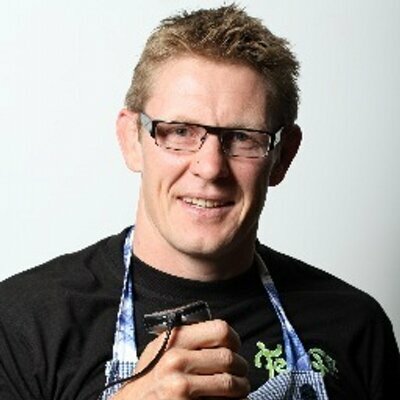 Gavin Allinson - Yes there are many people who don't tolerate wheat and or dairy and there have been some notable athletes who have gone gluten free with excellent results e.g. Novak Djokovic (tennis). It's definately worth trying especially if you have some digestive issues. Anyway for dieting I avoid all grains so wheat based products are off limits, often my clients say they have more energy eating like this as wheat based products like bread, pasta and cous cous can elevate the blood sugar levels too fast. Matt Lovell - Yes – intolerances are common and eating a food you are intolerant to will slow or even prevent progress on a diet. Question 9 - How important is understanding a person's psychological makeup when prescribing a dietary change? Is success in the mind or a function of individual endocrine makeup? Layne Norton - Understanding how someone's metabolism responds to manipulations in macronutrients is very important. What works for one person, might be disaster for another. Alan Aragon - It's nearly impossible to truly understand a person's psychological makeup when designing programs. Success & the motivation to succeed is determined by a combination of factors. I always emphasize that if you're making progress you're succeeding. Focusing on the "ultimate" goal while overlooking the milestones of progress that occur along the way is a bad approach. Often, people's "ultimate" goals change and evolve as they progress. Borge Fagerli - I would say very important. 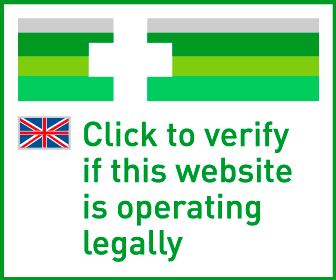 My diet consults begin with a thorough questionnaire where I get a feel for an individual´s behavioural aspects. That tells me a lot about what meal frequency and macronutrient composition will work best for them. It has nothing to do with blood types or Wolcott´s metabolic typing, but you tend to see that the introverted, high-stress, (over)analytical/cognitive, endurance types do better on carbs and higher meal frequencies - whereas the extroverted, thrill-seeking, explosive-impulsive sprinter-types do better on less carbs, more proteins and fats... Obviously many will have some of both but still be dominant in one direction. I scale things according to activity level, bf% and training modality (carbs scale with high-intensity training volume, fat intake with bf% AND low-intensity cardio volume) and can design a pretty damn good starting point for most. The weekly progress report takes care of optimization part, once we see how someone responds to the diet. Gavin Allinson - Sticking to a diet is a psychological as much as a physiological battle, the majority of people who are clients of Predator Nutrition will have enough knowledge to get into fantastic shape. Where people often fall down is having the self discipline and strength to stick to a plan. There are some steps you need to follow. 1. know exactly what you are going to eat and drink before the start of every day. 2. have that food available and ready to go ( don't rely on getting your favourite salad fromMarks and Spencer as that will the day they run out. 4. give yourself credit for sticking it your plan. There are lots of other issues about people's responses to food. Often overweight people will use food as a reward, I've trained hard today so i deserve that chocolate bar. Often food will be used to help alleviate stress, I've had a hard day at work, the Mrs is giving me grief, sod it I'm going to have a couple of beers. It is these psychological areas that most people who struggle need help with to help identify their trigger points and work out different ways to think and then respond too. Before I got interested in Sports Nutrition I was a life coach and I'm now finding that a lot of people including professional athletes need help with this area and I am now getting busier working as much as a Diet Coach as I am a nutritionist. Matt Lovell - Both – where the mind goes the body will follow and the mind will go places faster if the hormonal and neurotransmitter network is properly balanced. We look at neurotransmitter deficiency and address this using amino acids. Question 10 - Does a set point for body fat percentage make being very lean year round ill advised or are there ways around this? Layne Norton -Well it depends on the individual's setpoint. If you are someone who has a low bodyfat just by nature then it's probably ok to stay leaner, but if you are more endomorphic by nature it will probably be harder to stay lean and add muscle mass. Alan Aragon - This really boils down to personal preference. In my observations, some folks don't mind being "normal" or even towards the "fluffy" side unless they're dieting for a competition, photo shoot, movie, or other specific event. Those who want to stay lean year-round but don't have that natural tendency will have to work considerably harder than those who are natural greyhounds, metabolism-wise. In my observations genetically average folks generally need to do about 25% more formal training volume, and/or consume about 25% less calories to come close to the leanness that metabolic greyhounds display for the majority of the time. That's just the reality of the matter. If the genetically average folks choose to put themselves through that stress, then that's on them. Borge Fagerli - I can pretty much "reprogram" someone to be able to stay lean year-round, but depending on initial fatness and how much energy youÂ´re willing to spend on training (the great metabolic equalizer), there is bound to be some degree of portion control and conscious decision-making when you´re grocery shopping. I think it´s a matter of how you approach it mentally most of all, even if you are somewhat screwed if your parents were obese and you were one of the "big-boned" kids. If you consider it "dieting" it will be harder because you always feel like you are restricting yourself. It will be a lot easier for you if you consider it a lifestyle and learn how to make nutritious food choices taste great with various spices and natural flavourings (I put stevia on everything including meat dishes if I have a sweet tooth). Gavin Allinson - As far as I know there is no empirical proof of a set point for body fat percentage, however I do think that individuals do have set points that there body ends up coming back to whether it is physiological or psychological I don't know. What I do think is that you can recalibrate your set point however it requires maintaining your weight at your desired level for a period of time to adjust to your new set point. E.g you may get lean for a show and once it is over let it all go and add more body fat as a release from having to diet so hard. A Body Builder may want to spend some time at least a month or 2 maintaining their weight if they wanted to be in good shape throughout the year. If you are a fitness model you have to be able to do this otherwise you are not going to be able to work for big chunks of the year. Having said that you may want to hover around 6-8% body fat as a minimum, but you need to monitor your overall health and training responses if you are going to maintain at this level year round.